(205) 440-1000 Lifesaving made easy. 4-year-old drowned, but CPR saved his life! 2018: Retired firefighter Keith Jacobson and his wife Dr. Elizabeth Jacobson (from Birmingham, Alabama) saved 4-year-old Zachary Kohen with CPR after he had drowned in a swimming pool. Read more about their incredible story! Brady is a passionate, servant-minded leader in the emergency response and management specialties. He currently serves as CEO of Stop Heart Attack & Trio Safety CPR+AED as well as part time as a state police agent, professional firefighter/ EMT, adjunct university instructor, and DHS incident command instructor. He is married to his high school sweetheart, Malynda, and they have two young sons. 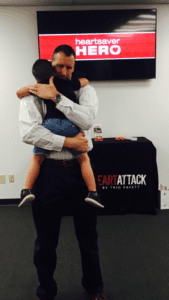 Because of the overwhelming need for quality and adaptive safety training, Brady founded Trio Safety in 2012 to help educate others in the areas of CPR, emergency response, and safety. 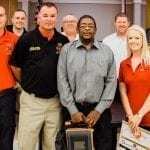 Brady brings his extensive experience and education in the field of emergency response to the classroom for students to fully engage and understand real life emergency scenerios in the event that someone must perform life-saving CPR or first aid skills. Over 65,000 students have received training through Trio across the country. 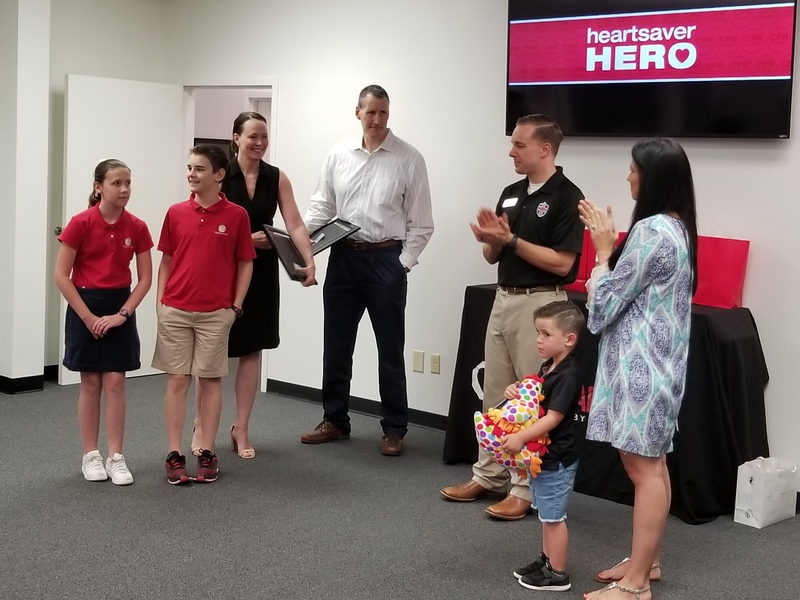 Trio merged with Stop Heart Attack to bring the best variety of affordable and dependable life-saving devices to you, including AEDs and bleeding control kits. Together, Trio & Stop Heart Attack can equip you for success when seconds count. Find out more and become a CPR Instructor with us. Already a CPR instructor? Affiliate with our training center for affordable pricing and excellent support. Interested in helping us fulfill our motto of “Lifesaving Made Easy”? Check out what it takes to join our team and search open positions. We are currently adding new CPR training sites as well as AED & Bleeding Control distributors to our network. Learn more by clicking here and completing an interest form. If for any reason you don’t pass our class the first time,you can attend any future class free of charge on us. No questions asked. We promise your employer, school, or agency will accept the certification card we issue to you. If there is a question of acceptance or validity, simply send us an email at training@triosafety.com with full details. We will reach out to the individual/entity and provide accreditation information. If still there’s a question, we will provide you with a full refund of your class fee. It’s that simple. If you prepaid for class, you’ll always receive your official certification card the same-day of your open enrollment class, or your card is free. Now that’s easy. I consent to Trio Safety CPR+AED Solutions collecting my details through this form.